Hey dolls! Just a quick post to announce the winner of the Serum No. 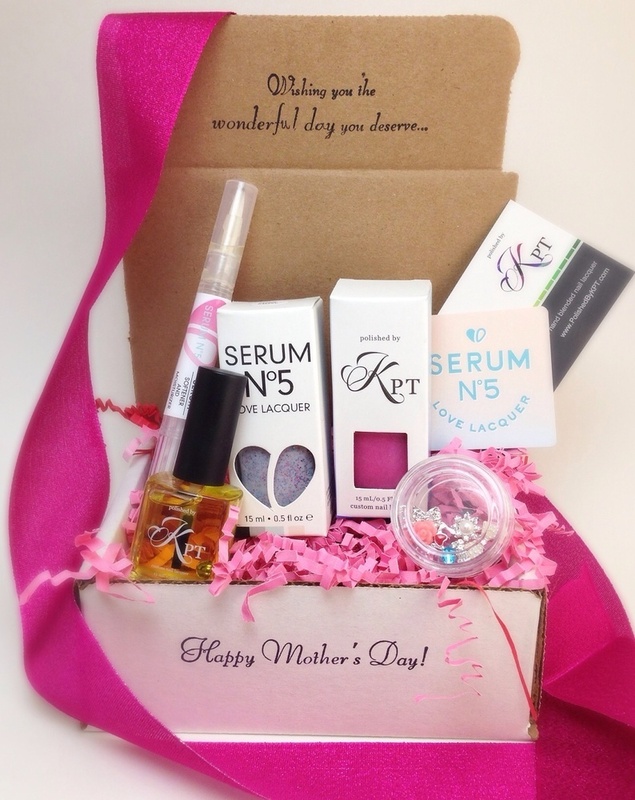 5 and Polished by KPT Mother’s Day Manicure Box giveaway. The lucky winner is Jamie H. Lohr! Yay Jamie!!! She’s already been emailed and has 48 hours to respond to claim the goodies. Thanks so much to all of you who entered! I hope you all have a wonderful mother’s day, whether it’s you being celebrated or celebrating the special women in your life.